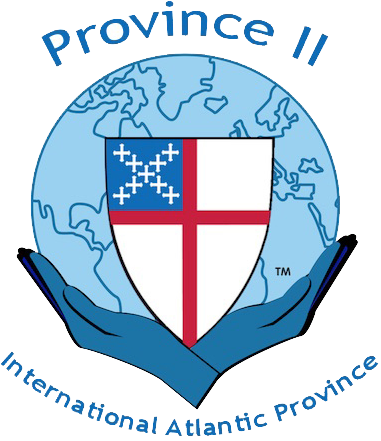 The Diocese of Newark is part of the worldwide Anglican Communion represented in the United States (as well as some other parts of the world) by The Episcopal Church. It was established in 1874 as the Diocese of Northern New Jersey by the third Bishop of New Jersey, William Henry Odenheimer, who then became its first Bishop. In 1886 the diocese changed its name to the Diocese of Newark. The diocese comprises the northern third of New Jersey, with congregations in Bergen, Essex, Hudson, Morris, Passaic, Sussex, Warren, and Union counties. More than 3.5 million people live within its bounds. It is a largely urban diocese, and includes the two largest cities in the state, Newark and Jersey City. The western and northern portions of the diocese are far less densely populated, some areas being rural in character, wooded and mountainous. Of New Jersey’s 566 municipalities, 206 are located in the diocese. There are 98 congregations and 4 affiliated worshipping communities located in the Diocese of Newark. There are approximately 26,000 worshipping Episcopalians and we have over 200 active ordained clergy, both men and women. Our worship and liturgical expression is vibrant and varied, ranging from Anglo-Catholic to liberation to conservative to liberal Protestant to Evangelical. At the heart of Episcopal worship is the Book of Common Prayer (the BCP), and within it, the principal weekly worship service is the Holy Eucharist—also known as Holy Communion, the Lord’s Supper, or Mass. It is called “common prayer” because Anglicans pray it together, around the world. Since its introduction in the 16th century, the purpose of the BCP has been to provide in one place a core of instructions and rites for Anglican Christians to worship together. Within its pages you will find the main beliefs of our church as well as the order of service for various forms of sacramental worship, such as Holy Communion, Baptism, Confirmation, Marriage, Burial, and Confession/Reconciliation. We believe we are called by Jesus Christ, whose power transforms us into a new community. Together, we strive to express that transformation in the world around us. The Diocese of Newark collaborates with God in the mission of Jesus in the 21st century, providing opportunities to grow spiritually, to serve and advocate for those who are marginalized, and to receive expressions of healing and care. See our Vision Statement. We are proud to have been among the first dioceses to ordain women to the priesthood and to ordain openly gay clergy. Our passion for diversity and inclusion has called us to be among the leading advocates for equality and justice for people of all races, cultures, religions, and socio-economic backgrounds. We enjoy a strong mutually supportive ministry with the Diocese of Panama and our congregations are engaged in mission throughout the world, in places like the Dominican Republic, Haiti, and Cameroon. For more information about any of our congregations, visit our Church Directory. A map of our diocese is available here. To reach a member of staff at Episcopal House, see our Staff Directory. To learn about the governance of the Diocese of Newark, see Diocesan Governance. Diocesan bishop - A bishop elected to lead a diocese. Bishop coadjutor - A bishop elected to assist a diocesan bishop, and succeed them upon their resignation. Suffragan bishop - An assisting bishop who does not automatically succeed a diocesan bishop.